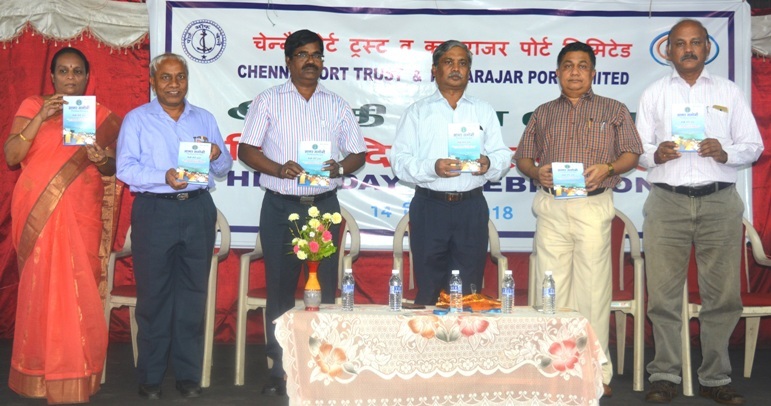 Hindi Diwas (Hindi Day) was celebrated in Chennai Port Trust on 14 September 2018 in a grand manner jointly by Chennai Port Trust and Kamarajar Port Limited. Various Hindi Competitions were held from 1.9.2018 to 14.9.2018 to the Officers/Employees of Chennai Port Trust and Kamarajar Port Trust and for Chennai Port Educational Trust Higher Secondary School students as a part of Hindi Fortnight. A special workshop was also conducted on 10.9.2018. On the Occasion of Hindi Day on 14.09.2018,Shri P. Raveendran, IRTS, Chairman, Chennai Port Trust addressed the gathering and the prizes were distributed to the winners by Chairman and Deputy Chairman of Chennai Port Trust. 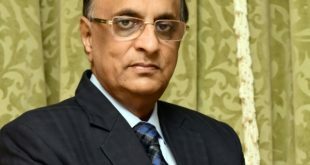 During the celebrations Hindi house magazine of Chennai Port Trust ‘Sagar Saloni’ was released as Rajbasha Visheshank – special edition, which serve as hand book for the employees to do more work in Hindi. 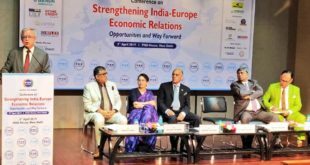 Head of Departments, Officers and Employees of Chennai Port Trust and Kamarajar Port Limited participated in the celebrations.